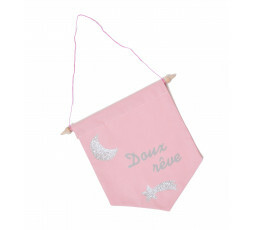 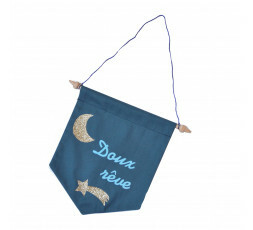 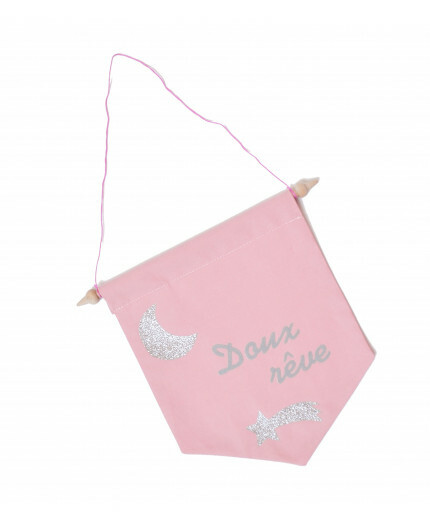 Because dreams aren't just the night, this flag has been made to decorate anywhere inside. 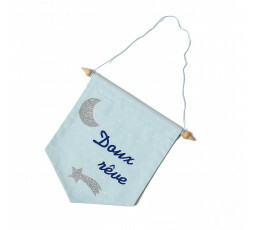 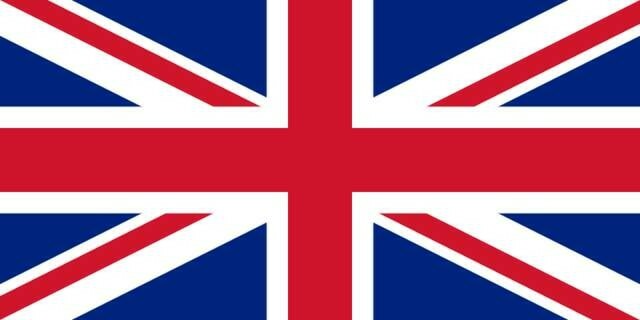 This flag can be hang up on a wall above the bed, at the door and so on. 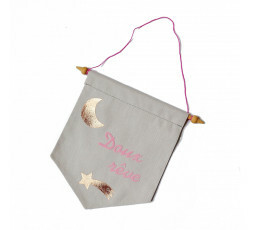 Here, pink pattern with a grey typography and a silver start and moon.